Learn web design and get mobile app development training at one of the best web design schools in Missouri! Is web design and mobile app development training right for you? You want an in-demand career working with cutting-edge technology. You want to learn by doing, working on real-world projects that prepare you to get hired. You’re creative and meticulous, and you love finding new ways to get things done. Does this sound like you? If so, web development and mobile app development training could be your path to a successful career. 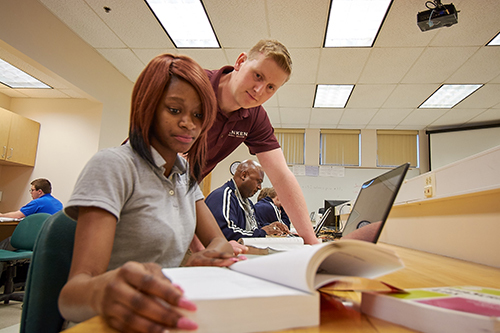 In Ranken’s Application and Web Development program, you’ll learn the most in-demand skills in the industry. 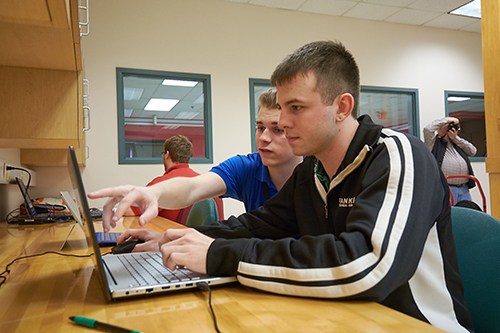 Why learn web design and app development at Ranken? What sets Ranken apart from other web design schools in Missouri is that our curriculum is completely industry-driven. We work with our industry advisory board to make sure that we are teaching the most in-demand programming languages.